Blown Away, AKA "Judy", is a gorgeous dark brown female! 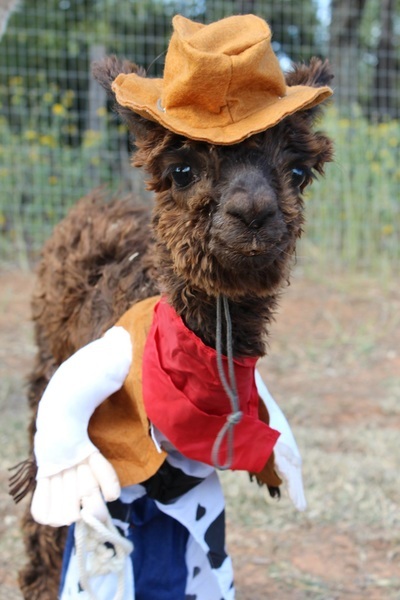 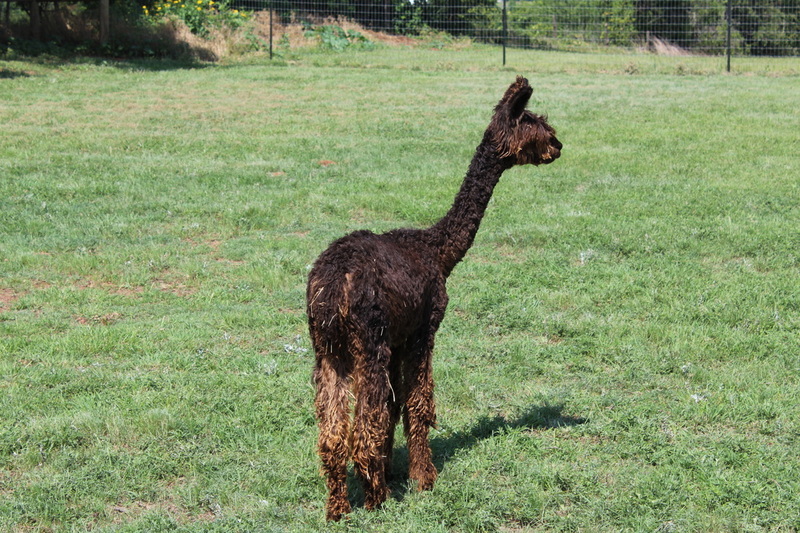 She is almost a carbon copy of her full brother, Cowboy Casanova. 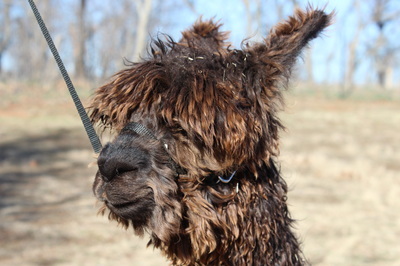 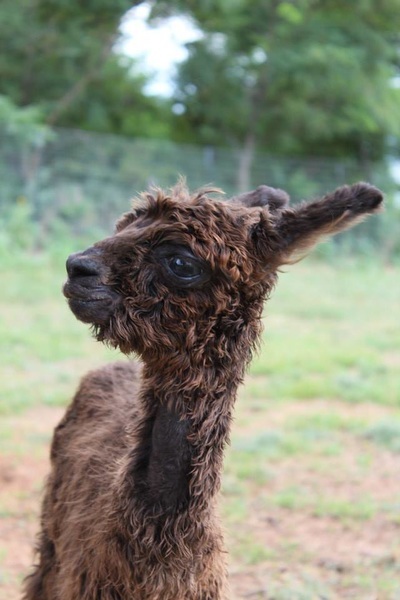 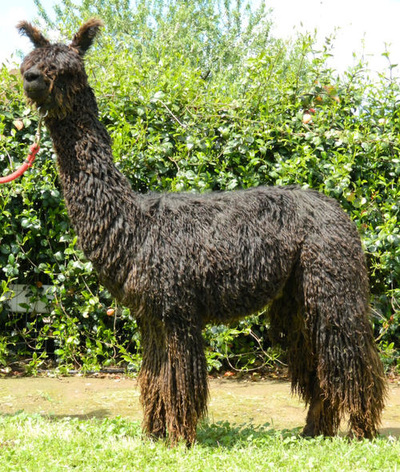 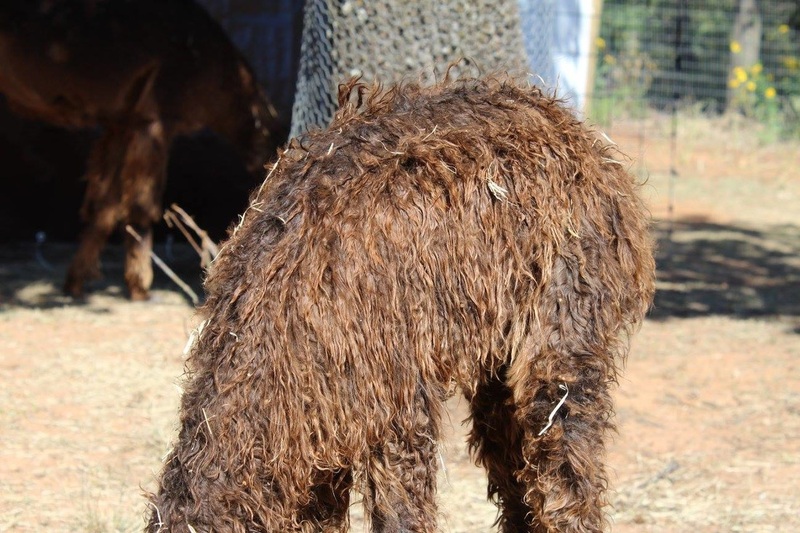 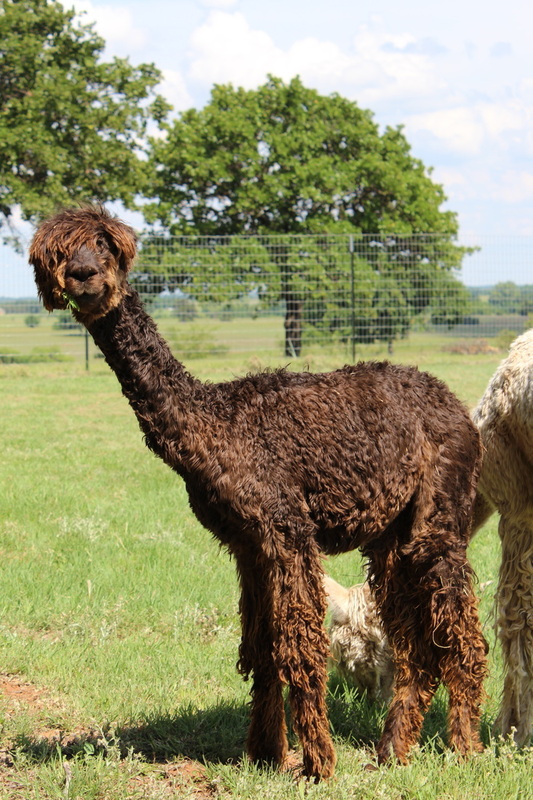 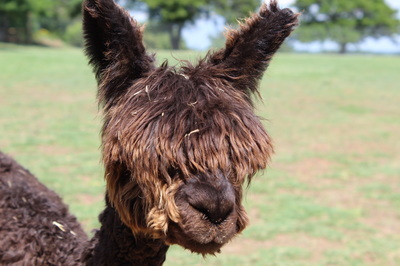 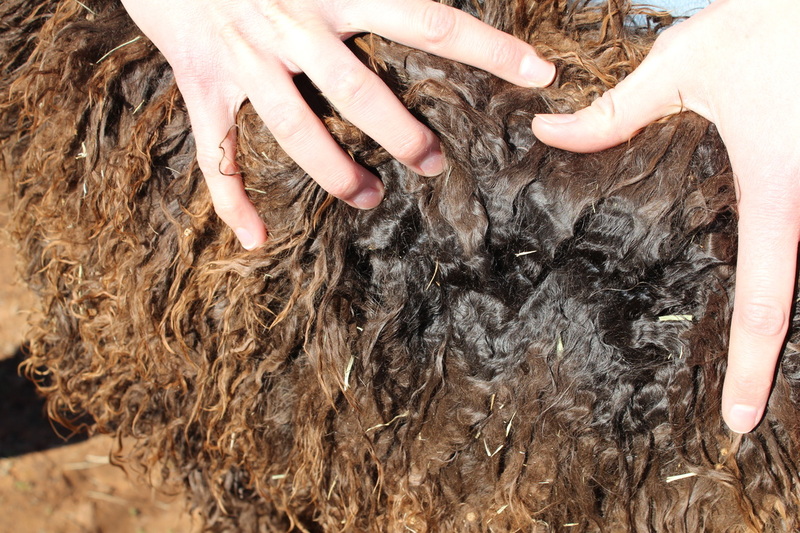 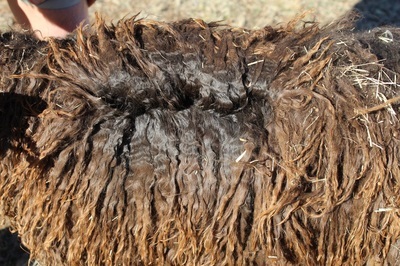 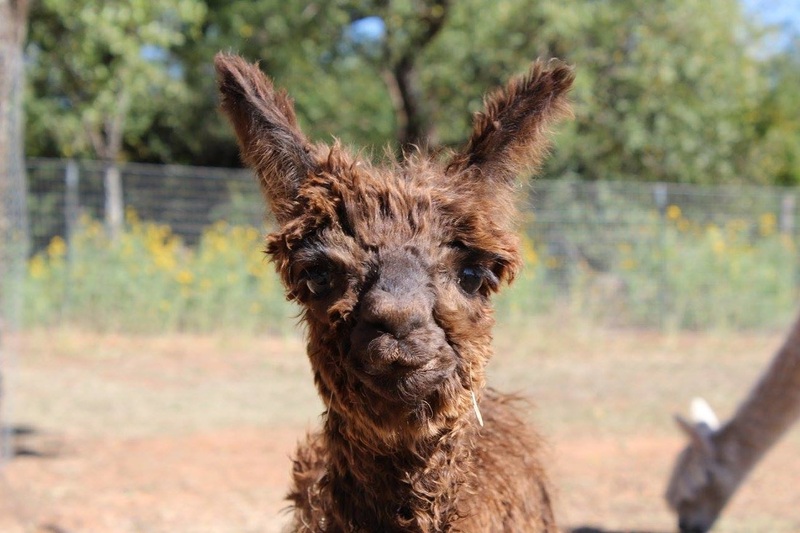 She exhibits strong fleece traits, even at a young age; the locks, luster, and fineness exhibited on her solid frame are incredible! She has a sweet, inquisitive personality. 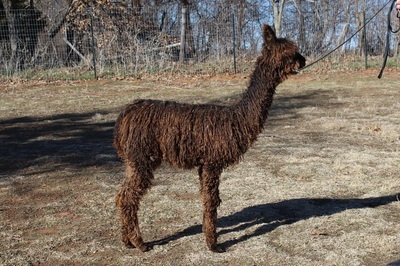 Her dam is my Torbio Granddaughter; Jolly Rancher's Calypso and her sire is a Balboa son; Maharajah of PVA.